Almost exactly a year since Magpie Bath started, our full website is finally up… and what a year it has been! I have been so excited to share what we have to offer with all of you, and now I can. We have so many fun scents and colours and amazing things to share with you, and I am excited to take you on a bath time journey. Please feel free to browse the site, see what we have to offer, and decide what your favourite bath bomb scents are. We are adding new ones all the time, and already have roughly 100 scents to choose from. 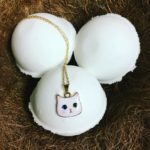 We have just finished a batch of our Purrs and Paws Bath Bombs with 20% of the proceeds going to www.ARFontario.com! They are exciting because its a bath for your pet, (or you, if you’d like) and jewelry for you! You get to enjoy some bling AND know that you are helping animals find new homes. 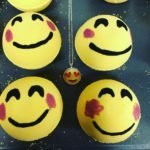 Emoji Bath Bombs are also finished, and those are just fun! Hand painted with an Emoji, and Emoji jewelry inside too! It’s Emoji overload! Check back here often for new posts about the projects we will be doing next, and feel free to comment with suggestions!